This brilliant site is claimed by Awais Farooq who is likewise the author of Pakistan’s well-known site, Comparebox.pk. Dreams.pk have an immense gathering of HiSense LEDs alongside smartphones, computing, kitchen appliances and many more. You say the model of this LED brand and dreams.pk will have it. Regardless of which company LED you need, dreams.pk has a tremendous assortment and accumulation from popular brands to local brands. Regardless of whether you’re searching for a mobile, motorbike or LED to purchase on simple EMI online with Zero Down Payment in Pakistan, you should simply visit Dreams.pk and it will be yours. Online shopping has turned out to be basic as it is presently in your financial plan because of Dreams.pk. You can appreciate Easy Shopping on installments in Pakistan regardless of where you are. Dreams.pk enables you to purchase on monthly installments with zero markup all your most loved items through a reliable channel. LEDs have now turned into a need in all homes and it remains deficient without them. Dreams.pk is Pakistan’s popular leasing site that empowers you to get your most loved items be it appliances, mobiles, LEDs or other such family unit gear, on stunning installment plans. Because of this reason, their interest has additionally expanded. By the by with the presentation of Smart TVs ULEDs and bended screens with 4K features, their costs have expanded significantly. The main choice left for individuals is purchasing LED television on installments. In such manner, Dreams.pk is the best alternative for you. Dreams.pk is one of those popular online stores that enables the customers to purchase their items both on EMI and money. We offer diverse reasonable installment plans for LEDs on installments on various brands. LED brands accessible on dreams.pk incorporate Sony, Samsung, LG, Haier, TCL, Orient, Akira and some more. This implies now anybody can buy their LED TV on installment in a simple way. Thusly buying of LED on installment has turned out to be much advantageous for everybody. The LED rather be a Samsung, Sony or a TCL, all the best and most exceptional LEDs are accessible for our cherished clients. 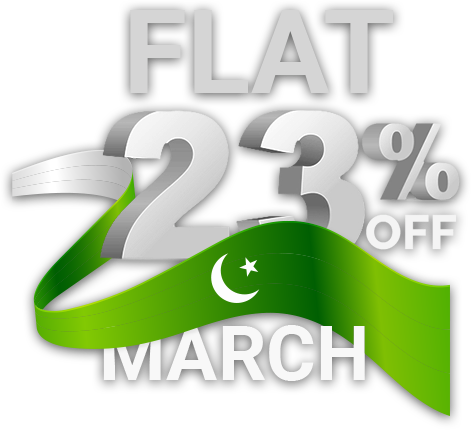 Dreams.pk offer reasonable installment plans as per your financial budget. You can likewise make zero down payment, to get your item on EMI in an easy way. You can even get LED on installment without intrigue. Here on this site you can get LED TV on installment in Pakistan and other home appliances as well. Numerous clients in Pakistan, trust that the items they purchase on EMI or money from various online stores are not of good quality. However, here at Dreams.pk we ensures this isn’t the situation. We have coordinate contacts with the official merchants of every single best brand LEDs, Smartphone and different kitchen appliances. This will guarantee our clients to get the first items both on money and monthly installments with authority guarantees. Buyers who are occupied with purchasing new HiSense LED TV on installments, Dreams.pk is without a doubt the best choice. Besides, Dreams.pk is additionally considered among the best sites that arrangement with LED on installments in Pakistan and also on money. The rates offered here on LEDs are aggressive when contrasted with other best driving web based renting sites or stores in Pakistan. Dreams.pk likewise enable you to track your requests that have been dispatched by us and that too by basic advances. You should simply click your request history on our site and check status of your request. As of now, numerous elegant LEDs of various brands are accessible in the market, which are not in reach of middleclass individuals. For the simplicity of such clients TCL, HiSense, Orient and Ecostar have presented many LED models at conservative costs. In the event that you are burnt out on heading off to the business sectors to locate your appropriate rates or bargains or can’t set aside opportunity to visit neighborhood stores or markets to purchase your most loved LED? Stop your hunt appropriate here, in light of the fact that the answer for your issues is unquestionably Dreams.pk. Thus purchase your favorite LED online on installments through the best installment site in Pakistan. Moreover, our site likewise has the most costly LEDs like the Sony Bravia, Samsung, and LG which are overall brands.